Astronomers did NOT just capture the first pictures of a black hole. What is it with “science” and LIES. Astronomers have captured the first image of a black hole, heralding a revolution in our understanding of the universe’s most enigmatic objects. The picture shows a halo of dust and gas, tracing the outline of a colossal black hole, at the heart of the Messier 87 galaxy, 55m light years from Earth. This simply is not true. I for one, years ago, took several pictures of Washington, DC. I even put one on a book cover. Because sugar, doctors, cars, and dope are killing people. Quick! Hashtag something to show you care. This comes as a surprise to no-one expect, perhaps, a few modern-wave feminists and their lavender supporters. The US comes in at number 61, favoring (you guessed it) women. Tell us more about that ERA thing. Researchers with UC San Diego’s Scripps Institution of Oceanography and Princeton University recently walked back scientific findings published last month that showed oceans have been heating up dramatically faster than previously thought as a result of climate change. Oops. Apply the actual scientific method to any of their “studies” and one will come across similar terminal errors. That’s because their methodology consists of: cherry-picking data; running it through an economic modeling program (not one meteorological) that was discredited and replaced 20 years ago, and then; cherry-picking the results a little more until the desired hysteria is found. Climate change = lies + commie shakedown. A lie. See explanation below. A lie. See immediately below. Part lie, part category error. Cigars are safe (FDA studies say so). However, they’re not an alternative to cigarettes, at all, with next to nothing in common except the burning aspect. Cigarettes are paper wrapped chemicals, tar, and, maybe, a little cheap tobacco. Cigars are pure, 100%, natural, organic, Earth-friendly, environmentally responsible tobacco from the best fields. Not just a lie, an eco-lie (very bad). WARNING: Cigar use while pregnant can harm you and your baby. Now they involve the poor Surgeon General. This one is either a lie OR another false conflation. Again, it’s cigars, not cigarettes. And, women constitute something like 0.5% of all cigar smokers. Pregnant women are around, I’m guessing here, 0.000000%. Totally irrelevant and utterly stupid. I challenge the FDA to present one single case, ever, of any baby negatively affected by cigars. Scratch that. I challenge the FDA to pack up New Hampshire Avenue and just get the hell out of America and out our lives. I say they can’t do it. Let ’em prove me wrong! Major premise: Nicotine is bad. Minor premise: Cigars contain nicotine. 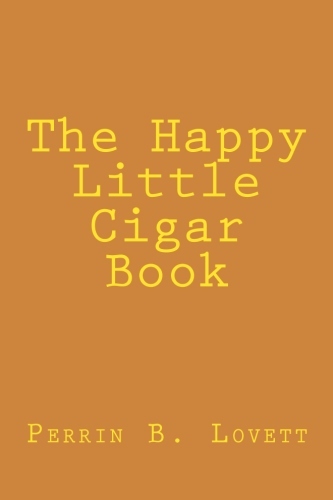 Again, again, again … cigars differ in many ways from cigarettes. Premium cigar makers do not add additional nicotine (or anything else) to the wrappers, binders, or fillers that constitute that lovely leafy goodness. Said leaf by itself does, in fact, contain a little nicotine. But, so do: tea leaves, eggplants, potatoes, peppers, cauliflower, and tomatoes. Government is the most dangerous non-natural thing in existence, possibly more destructive than a gamma-ray burst. Government is not a safe alternative to freedom. Take your labels and shove ’em. Feel free to post that by the cash register. For decades genetic researchers have sought the hereditary factors behind intelligence, with little luck. But now gene studies have finally gotten big enough—and hence powerful enough—to zero in on genetic differences linked to IQ. A year ago, no gene had ever been tied to performance on an IQ test. Since then, more than 500 have, thanks to gene studies involving more than 200,000 test takers. Results from an experiment correlating one million people’s DNA with their academic success are due at any time. The discoveries mean we can now read the DNA of a young child and get a notion of how intelligent he or she will be, says Plomin, an American based at King’s College London, where he leads a long-term study of 13,000 pairs of British twins. Plomin outlined the DNA IQ test scenario in January in a paper titled “The New Genetics of Intelligence,” making a case that parents will use direct-to-consumer tests to predict kids’ mental abilities and make schooling choices, a concept he calls precision education. As of now, the predictions are not highly accurate. The DNA variations that have been linked to test scores explain less than 10 percent of the intelligence differences between the people of European ancestry who’ve been studied. Okay, it’s a hardening science. DNA is still relatively new as a measurement subject, a novelty we’re still grappling with. The DNA-IQ link is brand, spanking new, subject to bugs. But those will be worked out – for better or for worse. Several educators contacted by MIT Technology Review reacted with alarm to the new developments, saying DNA tests should not be used to evaluate children’s academic prospects. “The idea is we’ll have this information everywhere you go, like an RFID tag. Everyone will know who you are, what you are about. To me that is really scary,” says Catherine Bliss, a sociologist at the University of California, San Francisco, and author of a book questioning the use of genetics in social science. Several of my buzz words were hit upon right there. The above-cited funniness comes from the cultural ramifications. Most people, centered up in that great parabolic shape, just don’t care about this stuff. Smarter people on the right … uh … maybe aren’t that smart. And they may suffer from spinal deformities. It’s some on the left who give us the delightful humor. Some – not all – on the left claim to love science, logic, and reason. That is, they love it until the science interrupts the narrative. We are not, it seems, all the same. One can almost see this just by looking. The lust for scientific truth ends when it suggests as much as the eyes sometimes do. DNA says a lot. Some don’t want it heard. It’s like they don’t appreciate free speech. Turns out they don’t. You surely recall The Bell Curve by Charles Murray. Murray was ahead of his time, a generation earlier than the new tests. His work examined the means and ends of IQ differences. Some rejected his findings and opinions. Murray tries to speak to college audiences only to be shouted down and run off by militant leftists. What, exactly, happened to the Spirit of Berkeley? I happen to share the deep, genuine concerns about eugenics. I have no idea whether Catherine Bliss fits the bill but many on the left, while decrying potential eugenics in some areas of social order, happily support actual eugenics in other areas. Margaret Sanger’s ideas and procedures came from somewhere. Anyway, for now this science is developing. I would not recommend running to any new site for testing, for you or your children. I smell snake oil from these start-ups. Too soon. But it will evolve. If you’re curious, then make sure to cross-reference the DNA results with a reliable, full battery from an established source (Stanford Binet or Wechsler). Even the older, normed assessments are not fool-proof. Remember that, whatever score one gets, it is a general indicator. It measures raw ability and potential. It’s a good overall estimate but: *Actual performance may vary. * Exceptions may be found anywhere in the curve. Oddities manifest oddly at both ends. Whether DNA or test-based, the exceptions, oddities, and generality should dictate a little caution. Persons, high, low, and average, should be left free to attempt fulfillment of and to the best of their abilities. The potential problem, within and without eugenic concern, is the potential mandating of class or tenure based upon initial scoring. That kind of central planning is one of the unproductive hallmarks of some on the left. Funny? **This ramble has been brought to you by the letters, D, N, and A, and by the number 4. Herrnstein (forgot him) and Murray/Amazon. Over 40 years and 141 AUs after launch Voyager 1 is still rocking along. File this one away under “pretty cool;” another of man’s most impressive, if quiet and distant, little accomplishments. NASA put together a guide for the phenomenon next Monday afternoon. 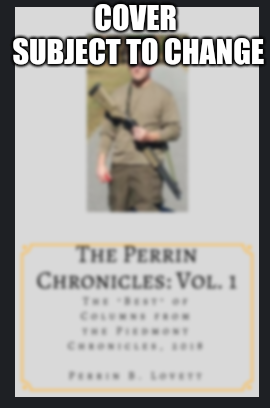 Check out my “guide” from Freedom Prepper from this morning. Mott, a professor at Rutgers University in New Jersey, and Cockayne, who teaches at the University of Waterloo in Ontario, argued that scholars or researchers disproportionately cite the work of white men, thereby unfairly adding credence to the body of knowledge they offer while ignoring the voices of other groups, like women and black male academics. Although citation seems like a mundane practice, the feminist professors argue that citing someone’s work has implications on his or her ability to be hired, get promoted and obtain tenured status, among others. Euclidean geometry. Parabolic geometry. Hyperbolic geometry. Projective geometry. Differential geometry. Calculus: Limits, continuity, differentiation, integration. Physical chemistry. Organic chemistry. Biochemistry. Classical mechanics. The indeterminacy principle. The wave equation. The Parthenon. The Anabasis. Air conditioning. Number theory. Romanesque architecture. Gothic architecture. Information theory. Entropy. Enthalpy. Every symphony ever written. Pierre Auguste Renoir. The twelve-tone scale. The mathematics behind it, twelfth root of two and all that. S-p hybrid bonding orbitals. The Bohr-Sommerfeld atom. The purine-pyrimidine structure of the DNA ladder. Single-sideband radio. All other radio. Dentistry. The internal-combustion engine. Turbojets. Turbofans. Doppler beam-sharpening. Penicillin. Airplanes. Surgery. The mammogram. The Pill. The condom. Polio vaccine. The integrated circuit. The computer. Football. Computational fluid dynamics. Tensors. The Constitution. Euripides, Sophocles, Aristophanes, Aeschylus, Homer, Hesiod. Glass. Rubber. Nylon. Roads. Buildings. Elvis. Acetylcholinesterase inhibitors. (OK, that’s nerve gas, and maybe we didn’t really need it.) Silicone. The automobile. Really weird stuff, like clathrates, Buckyballs, and rotaxanes. The Bible. Bug spray. Diffie-Hellman, public-key cryptography, and RSA. Et cetera. Oppressive white heteromasculinism in action. Fred Reed/NASA/the Oppressors. Rather than be thankful for the incredible groundwork, the SJWs attack the groundworkers. They always lie… I suppose it would be possible to live without the above-listed. People did so for thousands of years – in caves. Maybe that’s the final goal – regression to the Paleolithic. The Guardian reports that Earth’s sixth major Extinction is currently underway. We, having missed the opportunities to halt the last five, have only a limited time to act. A “biological annihilation” of wildlife in recent decades means a sixth mass extinction in Earth’s history is under way and is more severe than previously feared, according to research. Scientists analysed both common and rare species and found billions of regional or local populations have been lost. They blame human overpopulation and overconsumption for the crisis and warn that it threatens the survival of human civilisation, with just a short window of time in which to act. The study, published in the peer-reviewed journal Proceedings of the National Academy of Sciences, eschews the normally sober tone of scientific papers and calls the massive loss of wildlife a “biological annihilation” that represents a “frightening assault on the foundations of human civilisation”. Previous studies have shown species are becoming extinct at a significantly faster rate than for millions of years before, but even so extinctions remain relatively rare giving the impression of a gradual loss of biodiversity. The new work instead takes a broader view, assessing many common species which are losing populations all over the world as their ranges shrink, but remain present elsewhere. I remain somewhat skeptical of all this. Part of that is born of the knowledge that “we” have experienced this five other times. Then, we couldn’t do anything as we weren’t around to do it. Somehow things recovered. Nature. A time-travelling white man with an arsenal of atomic bombs caused a nuclear winter which begat an ice age. Descendants of the time-traveler over fished the seas while simultaneously dumping crude oil into them. Caveman fracking in Siberia killed off 95% of the bio-population. More support for “the Russians did it” theory. An insidious plot by latter cave-dwellers to over-populate the world with their dinosaur pets. Aerosol cans and combustion engines played a large part. An even more insidious plot by the earliest humans to rid themselves of dino competition via over hunting. Paved the way for the current extinction project. The other part of my “denial” comes from the constant “solution” always proposed by the hoaxers – in a word, “communism.” I was surprised this article didn’t cite some call for higher taxes or restrictions on the civilized. Maybe even they’re getting tired of craving what obviously never works. Anyway, I was moved somewhat by the plight of the lions. I never knew they were once native to Greece. 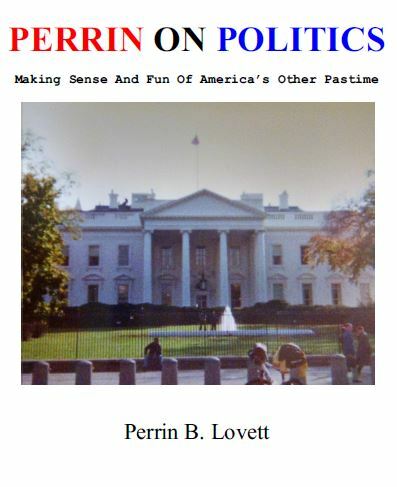 * Please Support Perrin on Patreon.